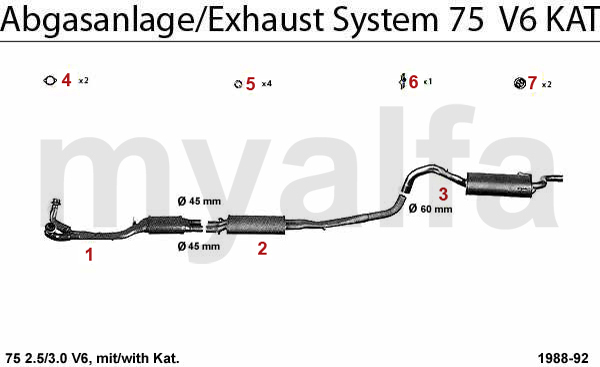 Alfa Romeo ALFA ROMEO 75 EXHAUST SYSTEM 2.5/3.0 V6 KAT. OE. 60528963 MIDDLE SILENCER 75 w. CAT.